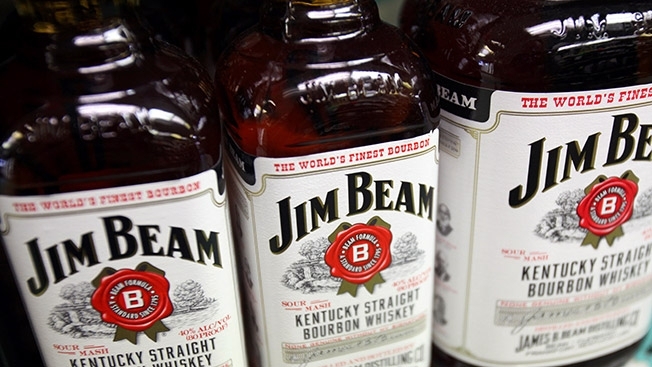 From its invention in Kentucky in the late 1700’s to the renaming of the company in 1933, Jim Beam has been a must have in any home bar or drinking establishment. In 1795, Jacob Beam sold the first barrel of Old Jake Beam Sour Mash bourbon whiskey, beginning the roots of the Jim Beam brand. In 1820, he passed on his bourbon distillery to his son, David. Thirty years later, David M. Beam inherited the business from his father as well. By 1880, Beam’s Old Tub bourbon, due to railroad expansion and the telegraph, had become a national brand. The popularity of the brand has remained through three more generations of the Beam family, and with the addition of Booker’s, Baker’s, Basil Hayden’s and Knob’s Creek small batch bourbons, is the top bourbon distillery in the world. Add the ingredients to a shaker. Shake well and pour into a cocktail glass over ice Garnish with a cherry and orange slice and serve. Pour the ingredients over ice in a cocktail glass, and stir gently. Garnish with a twist of lemon, and serve. Combine Jim Beam and Amaretto over ice in a cocktail glass. Add the Cola on the top and stir. Garnish with a cherry and serve. Add all the ingredients but the Grenadine in a shaker. Shake well and strain over ice in a cocktail glass. Add Grenadine. Garnish with a slice of orange or cherry and serve. Combine the ingredients into a cocktail glass over ice. Garnish with a cherry and serve. Pour Jim Beam into an old fashioned glass over ice cubes. Add the orange juice, and a splash of Grenadine. Serve. Previous What Does On the Rocks Mean? Next Slushy weather? Slushy cocktails.